"Bloodsucker" redirects here. For other uses, see Bloodsucker (disambiguation). 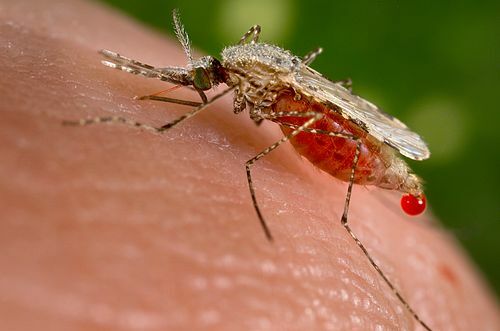 An Anopheles stephensi mosquito obtaining a blood meal from a human host through its pointed proboscis. Note the droplet of blood being expelled from the engorged abdomen. 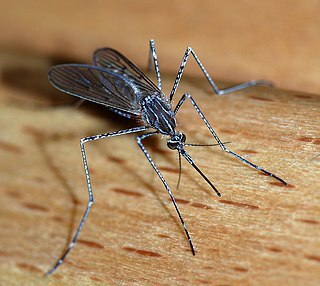 This mosquito is a malarial vector with a distribution that ranges from Egypt to China. Hematophagy (sometimes spelled haematophagy or hematophagia) is the practice by certain animals of feeding on blood (from the Greek words αἷμα haima "blood" and φάγειν phagein "to eat"). Since blood is a fluid tissue rich in nutritious proteins and lipids that can be taken without great effort, hematophagy has evolved as a preferred form of feeding for many small animals, such as worms and arthropods. Some intestinal nematodes, such as Ancylostomids, feed on blood extracted from the capillaries of the gut, and about 75 percent of all species of leeches (e.g., Hirudo medicinalis ), a free-living worm, are hematophagous. Some fish, such as lampreys and candirus, and mammals, especially the vampire bats, and birds, such as the vampire finches, hood mockingbirds, the Tristan thrush, and oxpeckers also practise hematophagy. These hematophagous animals have mouth parts and chemical agents for penetrating vascular structures in the skin of hosts, mostly of mammals, birds, and fish. This type of feeding is known as phlebotomy (from the Greek words, phleps "vein" and tomos "cutting"). Once phlebotomy is performed (in most insects by a specialized fine hollow "needle," the proboscis, which perforates skin and capillaries; in bats by sharp incisor teeth that act as a razor to cut the skin), blood is acquired either by sucking action directly from the veins or capillaries, from a pool of escaped blood, or by lapping (again, in bats). 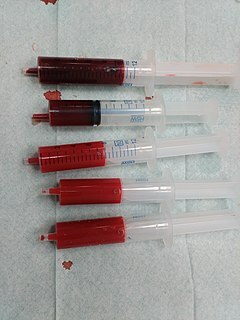 To overcome natural hemostasis (blood coagulation), vasoconstriction, inflammation, and pain sensation in the host, hematophagous animals have evolved hembiochemical solutions, in their saliva for instance, that they pre-inject—and anesthesia and capillary dilation have evolved in some hematophagous species. Scientists have developed anticoagulant medicines from studying substances in the saliva of several hematophagous species, such as leeches (hirudin). A proboscis is an elongated appendage from the head of an animal, either a vertebrate or an invertebrate. In invertebrates, the term usually refers to tubular mouthparts used for feeding and sucking. In vertebrates, a proboscis is an elongated nose or snout. A capillary is a small blood vessel from 5 to 10 micrometres (µm) in diameter, and having a wall one endothelial cell thick. They are the smallest blood vessels in the body: they convey blood between the arterioles and venules. These microvessels are the site of exchange of many substances with the interstitial fluid surrounding them. Substances which exit include water, oxygen, and glucose; substances which enter include water, carbon dioxide, uric acid, lactic acid, urea and creatinine. Lymph capillaries connect with larger lymph vessels to drain lymphatic fluid collected in the microcirculation. Incisors are the front teeth present in most mammals. 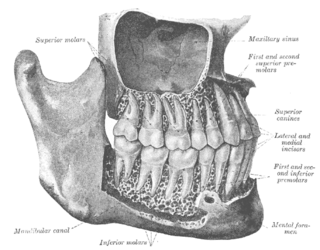 They are located in the premaxilla above and on the mandible below. Humans have a total of eight. Opossums have 18, whereas armadillos have none. Hematophagy is classified as either obligatory or facultative. Obligatory hematophagous animals cannot survive on any other food. 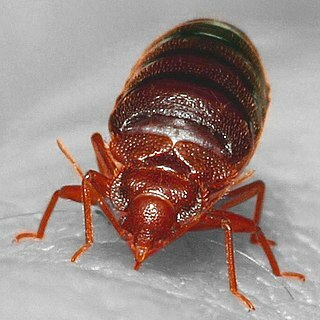 Examples include Rhodnius prolixus , a South American assassin bug, and Cimex lectularius , the human bed bug. Facultative hematophages, meanwhile, acquire at least some portion of their nutrition from non-blood sources in at least one of the sexually mature forms. Examples of this include many mosquito species, such as Aedes aegypti , whose males feed on pollen and fruit juice (only) while the females survive strictly by feeding on mammalian blood. In anautogenous species, the female can survive without blood, but must consume blood in order to produce eggs (obligatory hematophages are by definition also anautogenous). 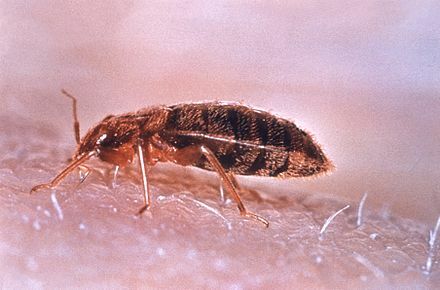 Rhodnius prolixus is the principal triatomine vector of the Chagas parasite due to both its sylvatic and domestic populations in northern South America as well as to its exclusively domestic populations in Central America. It has a wide range of ecotopes, mainly savanna and foothills with an altitude of between 500 meters to 1,500 meters above sea level and temperatures of 16 °C to 28 °C. Sylvatic R. prolixus, as virtually all Rhodnius spp., is primarily associated with palm tree habitats and has a wide range of hosts including birds, rodents, marsupials, sloths, and reptiles. Cimex lectularius is a species of Cimicidae. Its primary hosts are humans, and it is one of the world's major "nuisance pests". 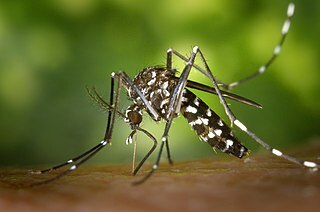 Aedes aegypti, the yellow fever mosquito, is a mosquito that can spread dengue fever, chikungunya, Zika fever, Mayaro and yellow fever viruses, and other disease agents. The mosquito can be recognized by white markings on its legs and a marking in the form of a lyre on the upper surface of its thorax. This mosquito originated in Africa, but is now found in tropical, subtropical and temperate regions throughout the world. As a feeding practice, hematophagy has evolved independently in a number of arthropod, annelid, nematode and mammalian taxa. For example, Diptera (insects with two wings, such as flies) have eleven families with hematophagous habits (more than half of the 19 hematophagous arthropod taxa). 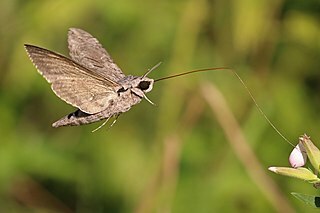 About 14,000 species of arthropods are hematophagous, even including some genera that were not previously thought to be, such as moths of the genus Calyptra . Several complementary biological adaptations for locating the hosts (usually in the dark, as most hematophagous species are nocturnal and silent to avoid detection) have also evolved, such as special physical or chemical detectors for sweat components, CO2, heat, light, movement, etc. The annelidas, also known as the ringed worms or segmented worms, are a large phylum, with over 22,000 extant species including ragworms, earthworms, and leeches. 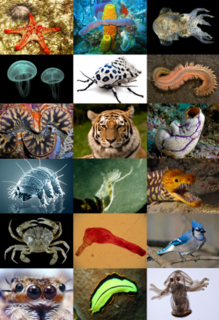 The species exist in and have adapted to various ecologies – some in marine environments as distinct as tidal zones and hydrothermal vents, others in fresh water, and yet others in moist terrestrial environments. The nematodes or roundworms constitute the phylum Nematoda. 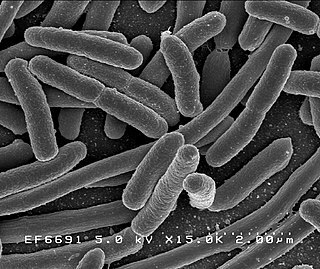 They are a diverse animal phylum inhabiting a broad range of environments. Taxonomically, they are classified along with insects and other moulting animals in the clade Ecdysozoa, and unlike flatworms, have tubular digestive systems with openings at both ends. Flies are insects with a pair of functional wings for flight and a pair of vestigial hindwings called halteres for balance. They are classified as an order called Diptera, that name being derived from the Greek δι- di- "two", and πτερόν pteron "wings". The order Diptera is divided into two suborders, with about 110 families divided between them; the families contain an estimated 1,000,000 species, including the familiar housefly, horse-fly, crane fly, and hoverfly; although only about 125,000 species have a species description published. The earliest fly fossils found so far are from the Triassic, about 240 million years ago; phylogenetic analysis suggests that flies originated in the Permian, about 260 million years ago. The phlebotomic action opens a channel for contamination of the host species with bacteria, viruses and blood-borne parasites contained in the hematophagous organism. Thus, many animal and human infectious diseases are transmitted by hematophagous species, such as the bubonic plague, Chagas disease, dengue fever, eastern equine encephalitis, filariasis, leishmaniasis, Lyme disease, malaria, rabies, sleeping sickness, St. Louis encephalitis, tularemia, typhus, Rocky Mountain spotted fever, West Nile fever, Zika fever, and many others. Insects and arachnids of medical importance for being hematophagous, at least in some species, include the sandfly, blackfly, tsetse fly, bedbug, assassin bug, mosquito, tick, louse, mite, midge, and flea. Many human societies also drink blood or use it to manufacture foodstuffs and delicacies. Cow blood mixed with milk, for example, is a mainstay food of the African Maasai. Marco Polo reported that Mongols drank blood from their horses if necessary. Many places around the world eat blood sausage. Some societies, such as the Moche, had ritual hematophagy, as well as the Scythians, a nomadic people of Russia, who drank the blood of the first enemy they killed in battle. Some religious rituals and symbols seemingly mirror hematophagy, such as in the transubstantiation of wine as the blood of Jesus Christ during Christian eucharist. Psychiatric cases of patients performing hematophagy also exist. Sucking or licking one's own blood from a wound is also a common human behavior, and in small enough quantities is not considered taboo. Finally, human vampirism has been a persistent object of literary and cultural attention. Vampire bats are bats whose food source is blood, a dietary trait called hematophagy. Three extant bat species feed solely on blood: the common vampire bat, the hairy-legged vampire bat, and the white-winged vampire bat. All three species are native to the Americas, ranging from Mexico to Brazil, Chile, Uruguay and Argentina. Arbovirus is an informal name used to refer to any viruses that are transmitted by arthropod vectors. The word arbovirus is an acronym. The word tibovirus is sometimes used to more specifically describe viruses transmitted by ticks, a superorder within the arthropods. Arboviruses can affect both animals, including humans, and plants. 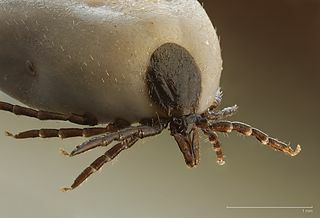 In humans, symptoms of arbovirus infection generally occur 3–15 days after exposure to the virus and last 3 or 4 days. The most common clinical features of infection are fever, headache, and malaise, but encephalitis and hemorrhagic fever may also occur. 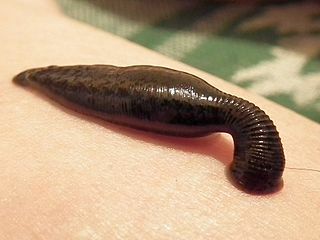 Hirudo medicinalis, the European medicinal leech, is one of several species of leeches used as "medicinal leeches". Bunyavirales is an order of negative-sense single-stranded RNA viruses. It is the only order in the class Ellioviricetes. It was formerly known as Bunyaviridae family of viruses. The name Bunyavirales derives from Bunyamwera, where the original type species Bunyamwera orthobunyavirus was first discovered. Ellioviricetes is named in honor of late virologist Richard M. Elliott for his early work on bunyaviruses. Eastern equine encephalitis (EEE), commonly called Triple E or, sleeping sickness is a zoonotic alphavirus and arbovirus present in North, Central, and South America and the Caribbean. EEE was first recognized in Massachusetts, United States, in 1831 when 75 horses died mysteriously of viral encephalitis. Epizootics in horses have continued to occur regularly in the United States. It can also be identified in asses and zebras. Due to the rarity of the disease, its occurrence can cause economic impact in relation to the loss of horses and poultry. EEE is found today in the eastern part of the United States and is often associated with coastal plains. It can most commonly be found in East and Gulf coast states. In Florida, about one to two human cases are reported a year, although over 60 cases of equine encephalitis are reported. Some years in which conditions are favorable for the disease, the number of equine cases is over 200. Diagnosing equine encephalitis is challenging because many of the symptoms are shared with other illnesses and patients can be asymptomatic. Confirmations may require a sample of cerebral spinal fluid or brain tissue, although CT scans and MRI scans are used to detect encephalitis. This could be an indication that the need to test for EEE is necessary. If a biopsy of the cerebral spinal fluid is taken, it is sent to a specialized laboratory for testing. Hirudin is a naturally occurring peptide in the salivary glands of blood-sucking leeches that has a blood anticoagulant property. This is fundamental for the leeches’ alimentary habit of hematophagy, since it keeps the blood flowing after the initial phlebotomy performed by the worm on the host’s skin. The common vampire bat is a small, leaf-nosed bat native to the Americas. It is one of three extant species of vampire bat, the other two being the hairy-legged and the white-winged vampire bats. The common vampire bat mainly feeds on the blood of livestock, approaching its prey at night while they are sleeping. It uses its razor-sharp teeth to cut open the skin of its hosts and laps up their blood with its long tongue. Venezuelan equine encephalitis virus is a mosquito-borne viral pathogen that causes Venezuelan equine encephalitis or encephalomyelitis (VEE). VEE can affect all equine species, such as horses, donkeys, and zebras. After infection, equines may suddenly die or show progressive central nervous system disorders. Humans also can contract this disease. Healthy adults who become infected by the virus may experience flu-like symptoms, such as high fevers and headaches. People with weakened immune systems and the young and the elderly can become severely ill or die from this disease. The Culicinae are the most extensive subfamily of mosquitoes (Culicidae) and have species in every continent except Antarctica, but are highly concentrated in tropical areas. Mosquitoes are best known as parasites to many vertebrate animals and vectors for disease. They are holometabolous insects, and most species lay their eggs in stagnant water, to benefit their aquatic larval stage. In entomology, anautogeny is a reproductive strategy in which an adult female insect must eat a particular sort of meal before laying eggs in order for her eggs to mature. This behavior is most common among dipteran insects, such as mosquitoes. Anautogenous animals often serve as vectors for infectious disease in their hosts because of their contact with hosts' blood. The opposite trait is known as autogeny. The Trinidad Regional Virus Laboratory (T.R.V.L.) was established in Port of Spain, in 1953 by the Rockefeller Foundation in co-operation with the Government of Trinidad and Tobago. It was originally housed in an old wooden army barracks near the docks in Port of Spain. A large wired-in "animal house" was built out back to house the many wild animals brought in for study. The discipline of medical entomology, or public health entomology, and also veterinary entomology is focused upon insects and arthropods that impact human health. Veterinary entomology is included in this category, because many animal diseases can "jump species" and become a human health threat, for example, bovine encephalitis. Medical entomology also includes scientific research on the behavior, ecology, and epidemiology of arthropod disease vectors, and involves a tremendous outreach to the public, including local and state officials and other stake holders in the interest of public safety, finally in current situation related to one health approach mostly health policy makers recommends to widely applicability of medical entomology for disease control efficient and best fit on achieving development goal and to tackle the newly budding zoonotic diseases. Thoughtful to have and acquaint with best practice of Med. Entomologist to tackle the animal and public health issues together with controlling arthropods born diseases by having Medical Entomologists’ the right hand for bringing the healthy world [Yon w]. Leeches are segmented parasitic or predatory worms that belong to the phylum Annelida and comprise the subclass Hirudinea. They are closely related to the oligochaetes, which include the earthworms, and like them have soft, muscular, segmented bodies that can lengthen and contract. Both groups are hermaphrodites and have a clitellum, but leeches typically differ from the oligochaetes in having suckers at both ends and in having external annulations that do not correspond with their internal segmentation. The body is relatively solid, and the spacious body cavity found in other annelids, the coelom, is reduced to small channels. 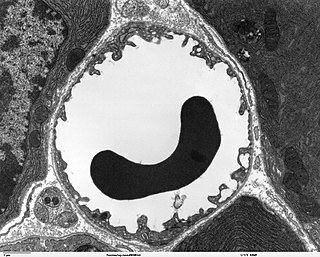 Hementerin is a metalloprotease found in the saliva of a hematophagous leech, Haementeria depressa, which is responsible for the anticoagulant property of the animal's bite to prolong blood sucking from the host. It was discovered in 1955 at the Butantan Institute, in São Paulo, Brazil, by Gastão Rosenfeld and collaborators. Scharfetter C, Hagenbuchner K (1967). "Blutdurst als Symptom. Ein seltsamer Fall von Bluttrinken". Psychiatr Neurol. Basel. 154 (5): 288–310. Ciprandi A, Horn F, Termignoni C (2003). "Saliva of hematophagous animals: source of new anticoagulants" (PDF). Rev. Bras. Hematol. Hemoter. 25 (4): 250–262. Markwardt F (October 2002). "Hirudin as alternative anticoagulant--a historical review". Semin. Thromb. Hemost. 28 (5): 405–14. doi:10.1055/s-2002-35292. PMID 12420235. Ribeiro JM (September 1995). "Blood-feeding arthropods: live syringes or invertebrate pharmacologists?". Infect Agents Dis. 4 (3): 143–52. PMID 8548192. Look up bloodsucker in Wiktionary, the free dictionary.